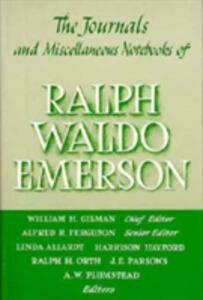 The journals printed in this volume, covering the years 1852 to 1855, find Emerson increasingly drawn to the issues and realities of the pragmatic, hard-working nineteenth century. His own situation as a middle-aged, property-owning New Englander with a large household to support gave him a strong sense of everyday financial necessity, and his wide reading for his projected book on the English impressed him deeply with the worldly success that had come to that unphilosophical people. The growing crisis over slavery at home, moreover, demanded the attention of every citizen, even one as reluctant to engage in social issues as Emerson. Emerson's extensive reading about the English, which ranged from Camden's Britannia through the diaries of Samuel Pepys and Thomas Moore to the latest issues of the London Times, convinced him that, despite its materialism, England was "the best of actual nations." The robust physical health of the English, their common sense, and their instinct for fair play insured that the future belonged to them and their transatlantic cousins, the Americans. 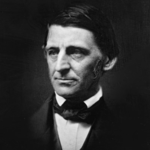 Yet the facts of American political life often led Emerson to wonder whether his country had any future at all. So long as his fellow citizens were willing to countenance the evil of slavery, they could not play their proper role in the world, the pages of his journals indicate, Emerson, like an increasing number of other Americans, was coming to believe that the issue had to he resolved, whatever the cost.